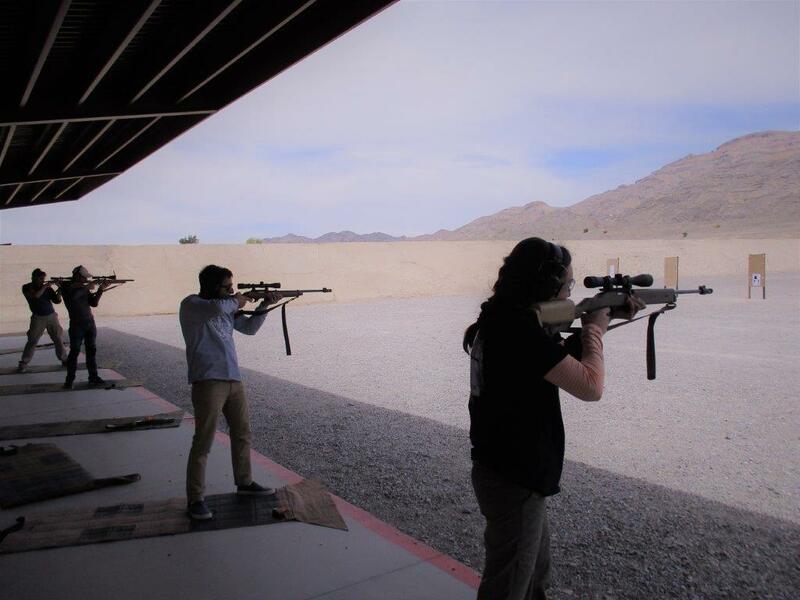 We celebrated Patriot’s Day with a two-day basic rifle event in Las Vegas, NV over Easter Weekend on April 15-16. We enjoyed beautiful weather as well as outstanding fellowship with a great group of shooters and coaches. 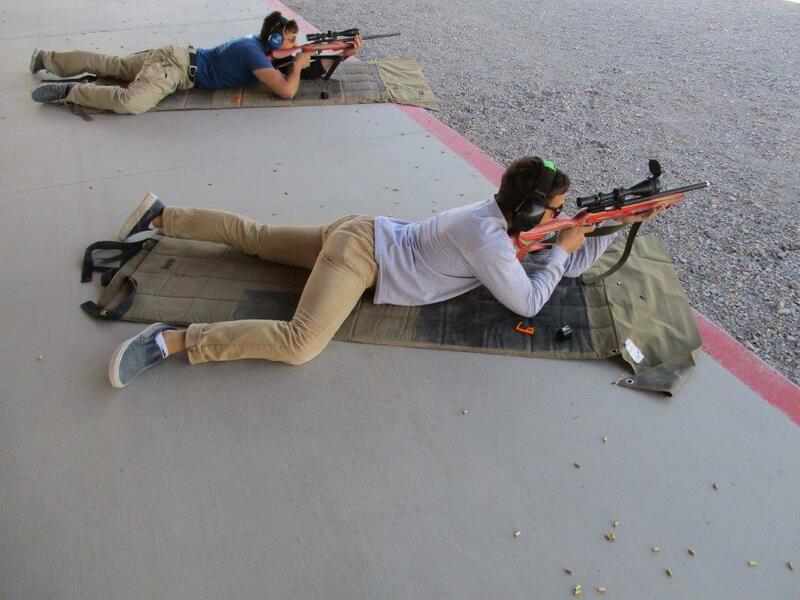 We start in the prone position to perfect important concepts like natural point of aim. The weekend began with a traditional volley at our “Morgan’s 13” target. 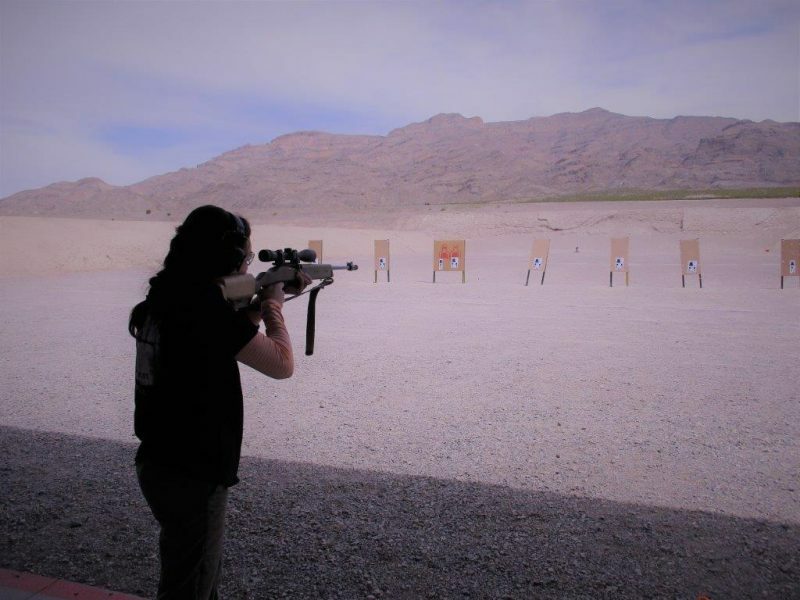 There was clearly some work to be done, so we pitched in with a morning of rifle fundamentals. Along the way, Chris told the history of Paul Revere’s Ride. By lunch time we had everyone dialled in with a solid zero, consistently making groups at 25 yards. Over lunch, we were treated to Heather’s telling of the shots heard round the world at Concord’s North Bridge. On Saturday afternoon, we covered various positions and added time pressure. We managed to get in three swings at the bat on our traditional rifle qualifier on Saturday, and Chelsea finished our history segment with a telling of the “The Runaway Fight of the Regulars.” We fired the traditional M1 Carbine Challenge to mix things up — shooters found it a different challenge to have to dial those optics down to low power, use only a hasty sling, and start getting their shots off faster! Morgan’s 13 at the end of the day showed improvement. After lunch we move into position shooting. On Sunday we spent the morning briefly reviewing the key concepts from Day One, which gave more chances for practice. Things moved along quickly and shooters had two chances to challenge the qualifier. 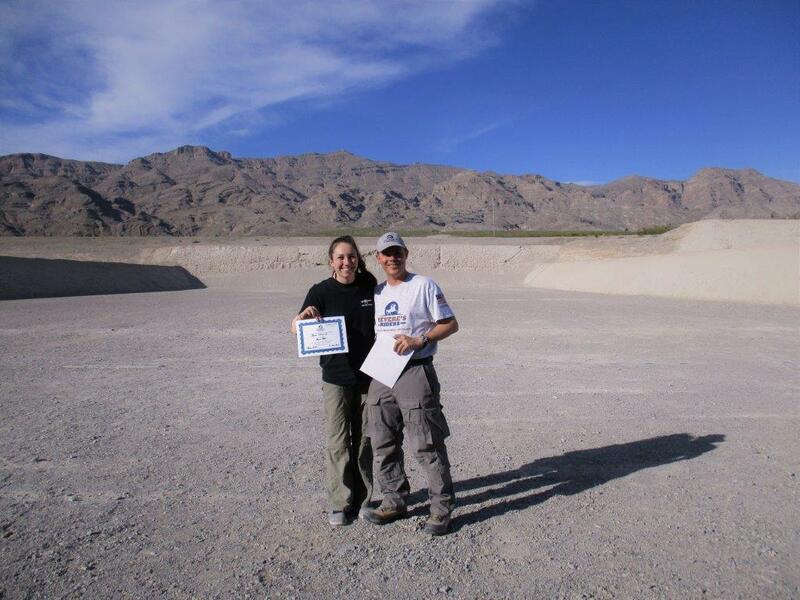 Over lunch we dug into an introduction to applying marksmanship at distance. 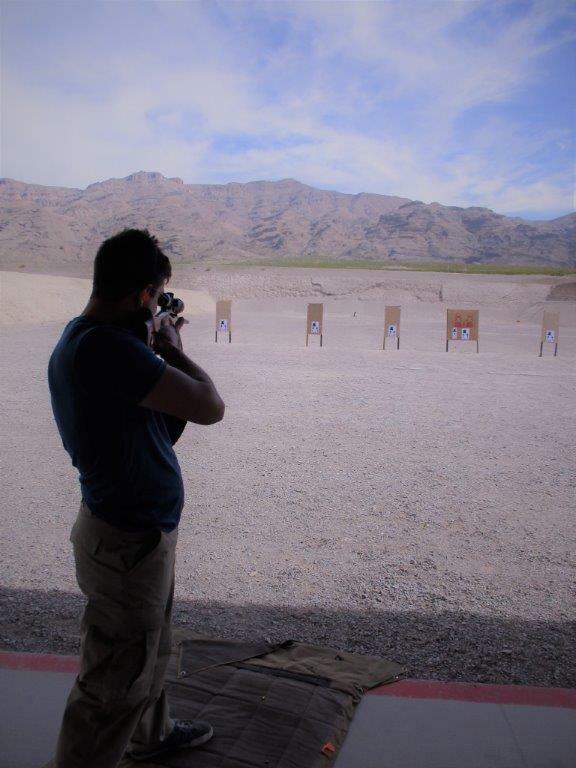 We discussed a number of concept from our Rifle 262 class to include target detection, basic ballistics, and windage. After lunch we applied these concepts to the range by collecting “data on personal equipment” (DOPE) on the 22s at 25/50/75/100 yards. 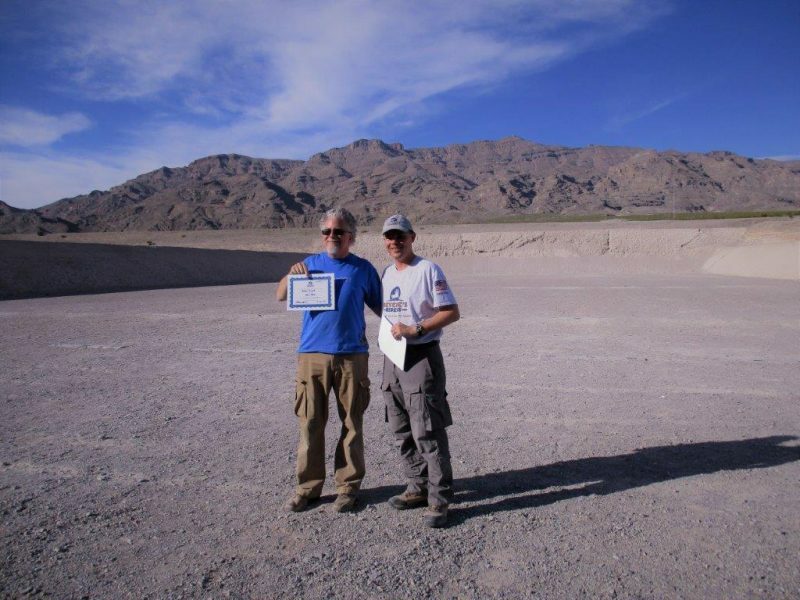 By taking advantage of the entire 100 yard bay at Clark County Shooting Complex we were able to illustrate the concept of battlesight zero as well as walk through the process for gathering this data. 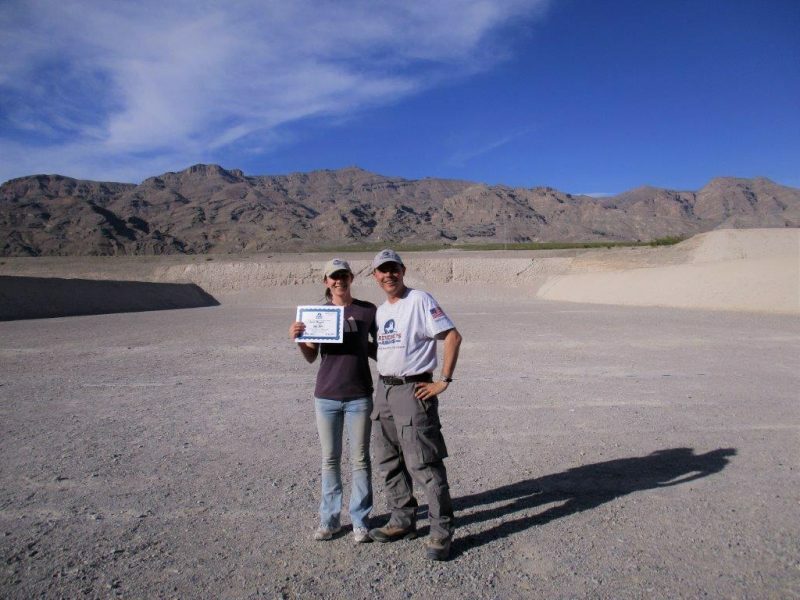 After getting our DOPE, we fired a rifle qualifier for score on the “mini KD range,” firing at 25, 50, 75, and 100 yards. A stiff full value cross breeze picked up and a little windage even needed to be applied! Working on the standing position. After experimenting with KD we broke into two groups. 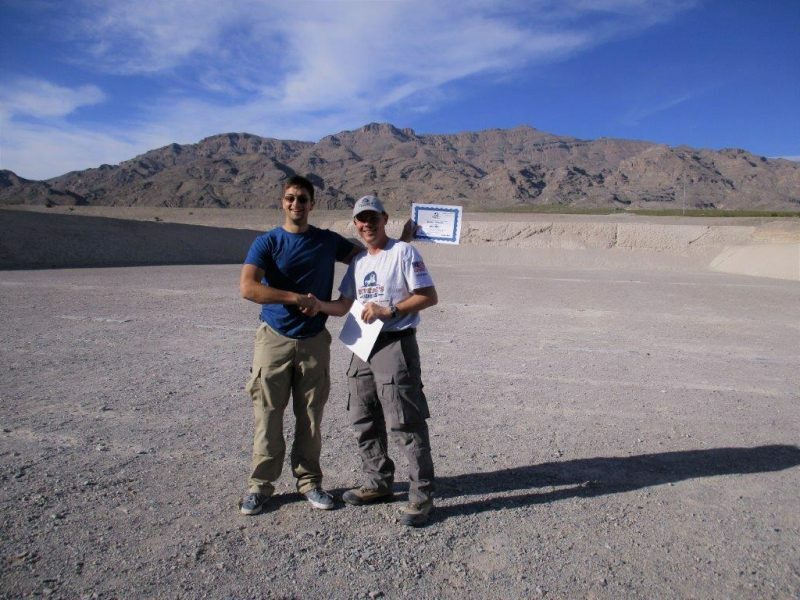 One group repeated several qualifiers for score to “get over the hump.” A few others received an introduction to the carbine and shoot steel. We came back together and finished the day with a volley onto Morgan’s Shingle… posted all the way out at 100 yards. Two of our coaches nailed the shot and a number of students were within a quarter inch. 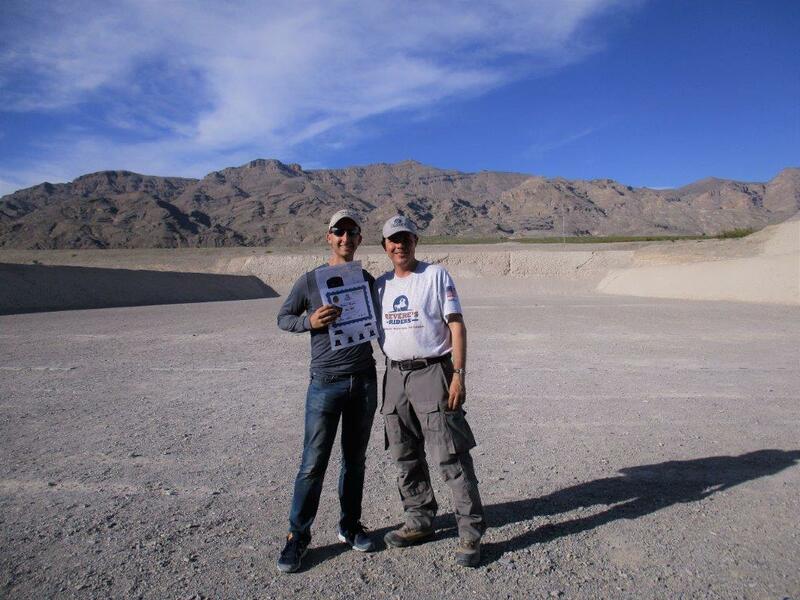 Shooters challenge the rifle qualification test! All in all by the end of the weekend we had one shooter clear Morgan’s 13 and two qualify on the qualifier as an Expert and Master. Great shooting! Two brothers duke it out — HITS COUNT! Thanks in particular to our out of state guests who made the drive to Nevada for class, and to our awesome coaching crew. This would not be possible without their generous volunteerism. 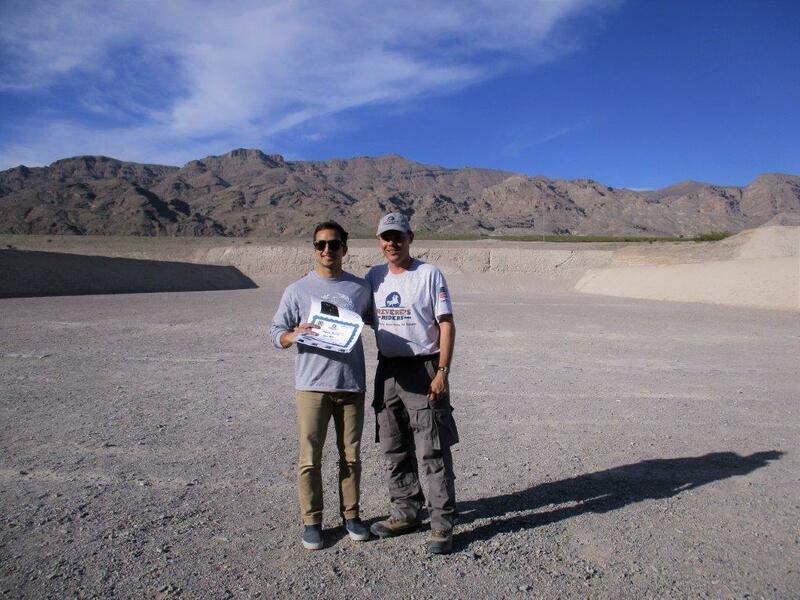 I would also like to thank MOA Targets for supporting us with steel for these events. 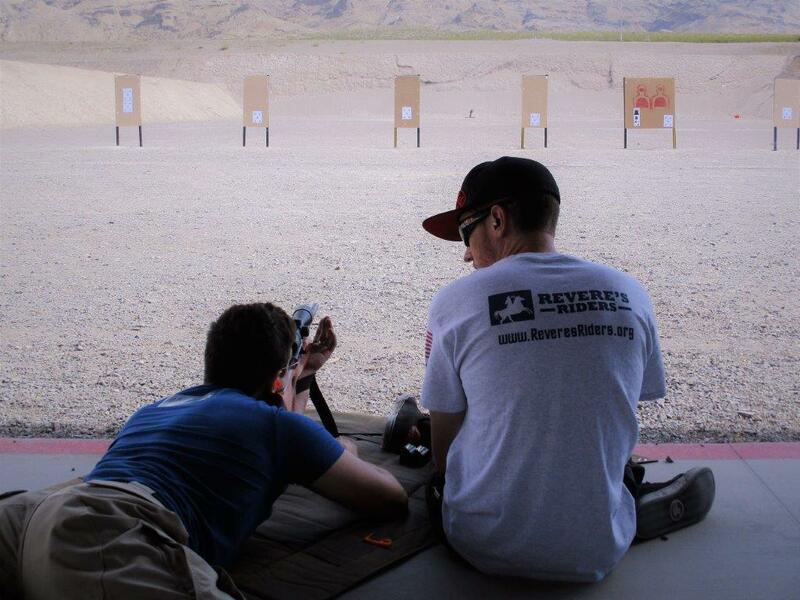 We hope to see shooters back for our match in May and for a few new classes in the fall once the summer heat breaks.